I grew up in Philly and was educated in the Philadelphia public school system, from pre-K all the way up through graduating from Mastbaum High School (Go Panthers!). I have great memories of classes, teachers, field trips, and lifelong friendships — so saying “Yes” when I had the chance to help at Sheppard Elementary was a no-brainer. 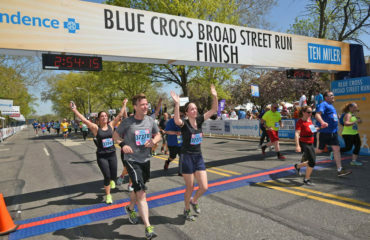 Independence Blue Cross (Independence) has been a corporate sponsor of the Isaac A. Sheppard Elementary School in North Philadelphia for more than 20 years. I’ve volunteered countless times with the school through the Philly Reads program, by donating gifts to the students as part of our annual holiday Sheppard School Giving Tree, and even before my Independence days when I was employed with the Boy Scouts of America, leading an after-school scouting programs. In late summer 2015, I was eager to meet with Marisol Rivera Rodriguez, who was starting her first year as Sheppard Elementary School’s new principal, to discuss a possible new venture — renovating the school’s library. 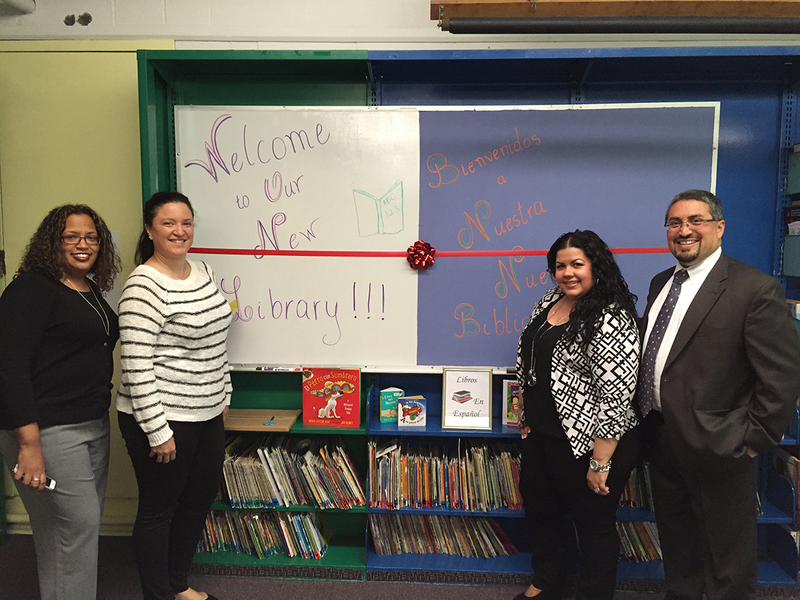 When members of our Latinos con Propósito employee resource group visited the school earlier in the year, they recognized the need for students to have a place dedicated entirely to reading. Although space was available, it was being used for storage and had not been functioning as a library in 15 years. With Marisol’s approval, volunteers from Latinos con Propósito and our Blue Crew teamed up and got to work! More than 80 Independence employees and their family members volunteered 250 hours on the renovation over four Saturdays. Our employees also donated more than 2,000 books to the Sheppard Elementary library, which the volunteers organized by student reading level. The amazing thing is that the volunteers’ work goes beyond just painting walls, arranging furniture, and organizing books — we helped to improve the students’ literacy skills by creating a clean, safe, comfortable, and vibrant atmosphere that encourages them to read. Both 6ABC and Al Día News were there to capture the unveiling and the excitement of the students as they enjoyed their new library for the first time. I can truly say that it was a heart-warming experience for all of the volunteers who made it happen! 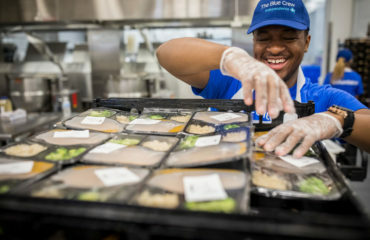 By the way, Independence associates don’t just volunteer at Sheppard Elementary; in fact, myself and other members of the Blue Crew were recognized by Variety – The Children’s Charity, for our work in improving the lives of thousands of children with disabilities and their families in the Delaware Valley. I joined Independence Blue Cross (Independence) in 2012 after working for the Boy Scouts of America for six years. In my current role, I lead Independence's Blue Crew and United Way initiatives. The best thing about my job is being able to engage with my community.